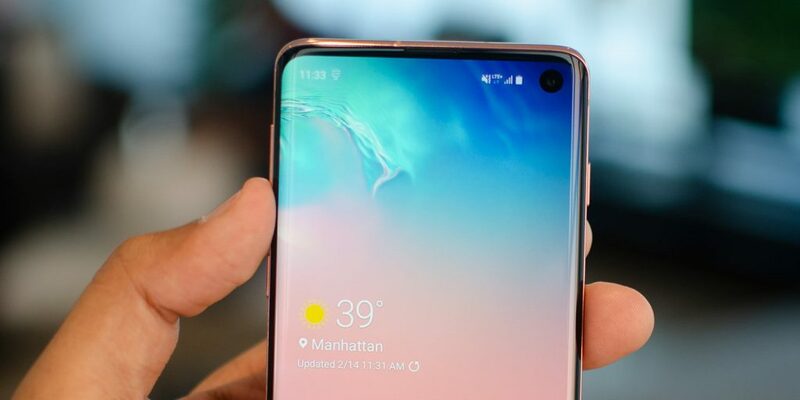 Samsung Galaxy S10 users have started complaining about a bug in the phone's software that is causing their batteries to drain faster. Over in Russia, Samsung has announced the Galaxy A20, which sits right below the current Galaxy A30 which is officially selling for RM799 in Malaysia. If this does turn out to be the case, Samsung might be forced into offering free replacement screens for the $1,980 smartphone. While it has existed for several years now, eSIM (embedded SIM) is viewed as a GSMA global specification for the next generation of mobile and connected devices, and so far it has been employed by a number of smartphones including the Google Pixel 2 and Pixel 3 as well as various smartwatches. Additionally, the Galaxy A20 was also announced in Russian Federation, where it became official next to the Galaxy A50 and Galaxy A30, introduced officially last month. The device is powered by Samsung's own Exynos 7885 processor coupled with 4GB of RAM. The Galaxy A40 runs on the Android Pie-based One UI skin and gets its juice from a 3100 mAh battery. The device comes dual SIM functionality and dual rear camera setup. The phone also gets a microSD card slot for additional storage. The Galaxy S10 sports a 5.8-inch "Dynamic" Infinity-O AMOLED while the S10+ comes with a bigger 6.44-inch display. Samsung launched the Galaxy A20 in Russian Federation yesterday, and has also unveiled another Galaxy A series device, the A40, in the Netherlands. At the front, the handset gets a 25-megapixel fixed focus camera with f/2.0 aperture for selfies and video calling. It is powered by the Exynos 7884, helped by 3GB of RAM and 32GB of expandable storage. It also shows how the keyboard works on the 7.3-inch display, which takes up a sizeable chunk of the screen real estate, similar to Samsung tablets.